poured acrylic with only four colours, including black. My second attempt at pouring malachite, still not as I wanted, but with potential. I love the copper colours. 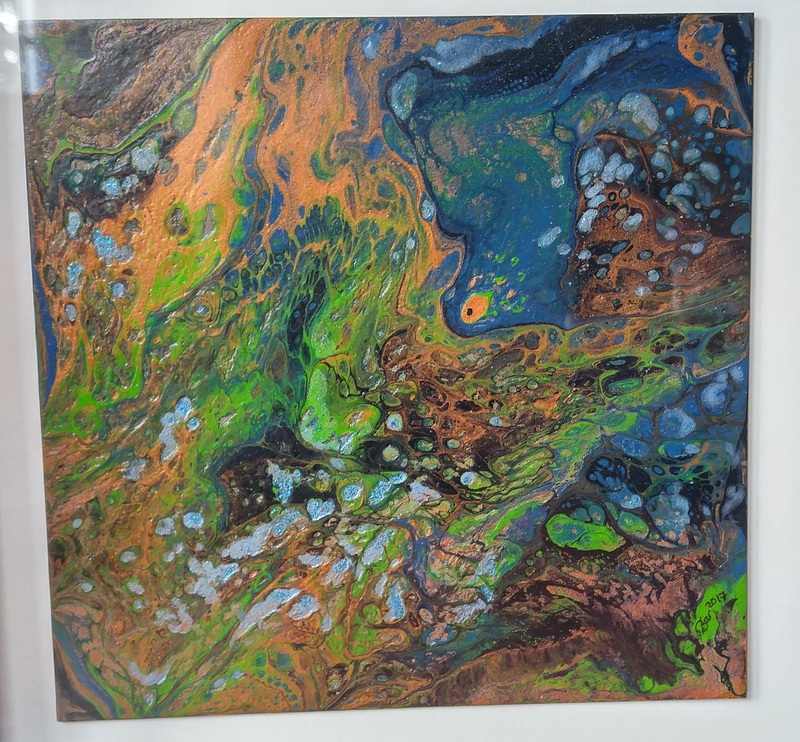 As this is an experiment, poured onto a plastic base, the paint split apart as it dried. So I added a glitter blue into the holes to lighten it up.